How did CWILL BC members get their first big breaks in the publishing world? In this series of interviews with local writers and illustrators, we ask what advice they would offer and what mistakes they would never repeat — an inside look at the publishing process, from the creators’ point of view. Please feel free to tell your own publishing tales in the comments section below. My first book was non-fiction, a family craft/recipe book called Making Your Own Traditions: Christmas, co-written with a friend. Since it was for both parents and kids, no publisher would take it, and we self-published. This was back in 1984, before indie publishing was acceptable. But the book was a huge success anyway – we sold over 35,000 copies in Canada and the US and then brought out a second title, Around the Year. Sadly, both books are now out of print. Did you have a mentor in the publishing world, or did you do it all on your own? No mentor, although I did take some writing courses that helped a lot with craft, and I did have a writers’ group for moral support. But I stumbled through the publishing maze on my own. I would have loved to have had help with that. I think it’s probably easier now, with so much info about publishers, editors and agents available online. I don’t have an agent, so have always found my publishers myself. My first two novels (one YA, one adult) came out with new companies who were just getting started and were actively looking for manuscripts to round out their lists. I was in the right place at the right time, with the right manuscript ready to go. So there was a certain amount of luck involved, for sure. 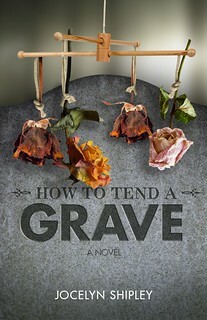 But when the publisher who did my first four YA books was sold, I had to start over for my new book, How to Tend a Grave. To do that, I looked at submission guidelines and sent out queries to publishers who were looking for edgy, older teen fiction. How did you handle early rejections? I kept two files. One was labelled “letters from editors – good!” and in that I put anything with a personal note of encouragement or some feedback. I kept it where I could easily see and be encouraged by it. The second was labelled “letter from editors – stupid!” and I stuffed all the hundreds of form rejections into that, then hid it at the back of my filing cabinet. It sounds a bit silly now, but it really helped, and I still look over those “good” letters sometimes when I need a lift. What advice would you give an emerging writer/illustrator? I’ve said this before, but it bears repeating because it’s so important. Try to remember that publishing is a business, and even though rejection of your work can feel personal, it’s really not. Agents and editors receive hundreds of queries and manuscripts every week – they can’t possibly accept them all, even if they love them. That’s just the reality of the marketplace, and it doesn’t mean that you’re not a good writer /illustrator. When my work isn’t accepted, I allow myself 24 hours of feeling hurt and upset, then it’s on to my three Rs of rejection: Rise above. Revise. Resubmit. 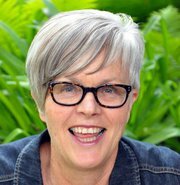 To learn more about Jocelyn and her work, please visit her website. This entry was posted in just for fun, The Publishing Plunge and tagged Jocelyn Shipley. Bookmark the permalink.